There is a lot going on for all of these projects! For the basic tag (and that great faux sand recipe) check out Tim's blog post. I changed a few things up for the cards. 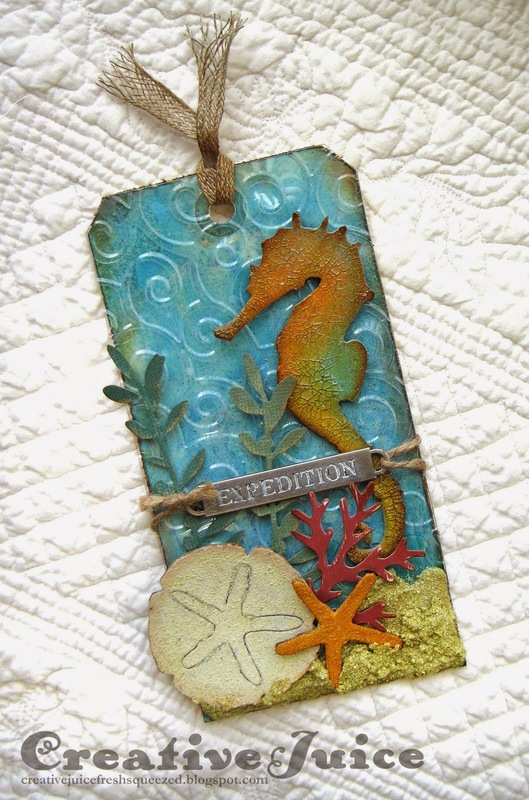 As a nod to the embossed plastic layer on the tag, I stenciled bubbles onto the background using Gloss Super Heavy Gel. I didn't have a stencil with the "bubble" look I wanted so I made my own! 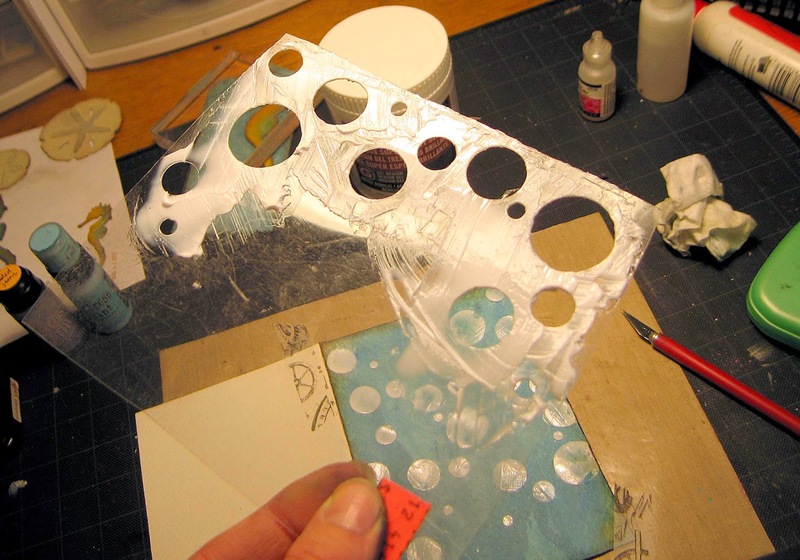 I cut a piece of plastic packaging into a rectangle and punched different sized circles out of it using my extensive collection of circle punches. I used a palette knife to spread the gel through (it dries clear). The wonderful vintage images are from The Graphics Fairy website. It is such a great resource, you should check it out. The sailor boy card is for my son's birthday this weekend. I added a metal 8 for his age, appropriately corroded up with paint and Vintage Photo embossing powder so it looked like it had indeed been sitting of the bottom of the sea. The other card features a black and white image that I hand tinted with Distress inks. It's very subtle but I think it adds a nice touch. Check out this Ranger video for instructions on how to tint photos, it's easy! I used Epson photo paper and that took the ink well. Thanks for reading about my Sand & Sea projects! I think I will be getting a lot of use out of these dies. 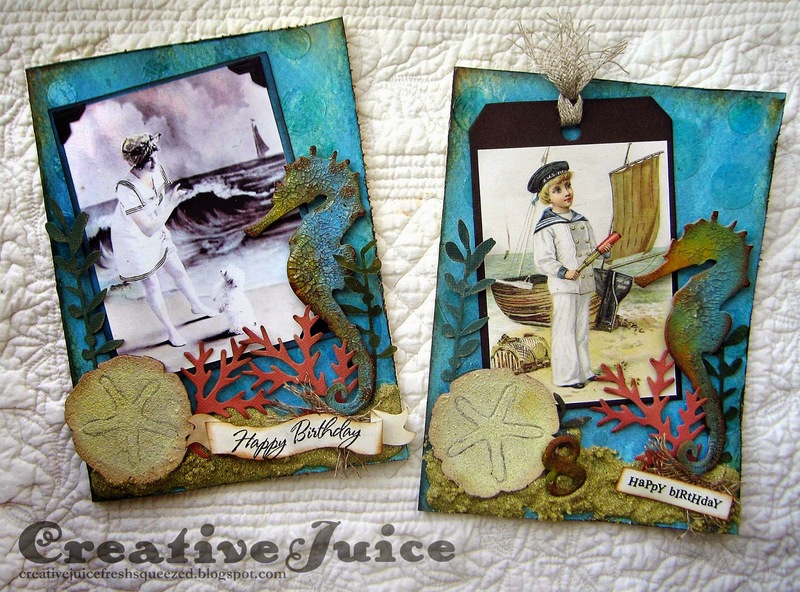 ;-) I am also submitting my sailor boy card for the Craft Hoarders Anonymous challenge, Tag, You're It! Most of the supplies I used for these cards can be found at Inspiration Emporium. Follow the links below and use my code JUICE to save 10% if you go shopping. I will also point out that US shipping is always $5 and international shipping is just $10! I love both of your tags. Very creative! I really love that you made your own stencil! Thanks for joining us at Craft Hoarders Anonymous! What awesome creations!!! I really love the cards!!!! Love your creative tags! Thanks for joining us at Craft Hoarders Anonymous! Ok, now...this is so great! I love the tags, the cards, the images, the colors....and now I need those dies! Thanks for enabling me to hoard even more! hee hee I love these projects! Thanks so much for playing along with us a Craft Hoarders Anonymous! Love your wonderful creations Lisa. I have also been eyeing those dies, aren't they just fab!!?? I love what you've done here. Awesome tag, love all the details. Thanks for joining us at Craft Hoarders Anonymous! Totally gorgeous! Thanks for joining us at Craft Hoarders Anonymous Challenge 11! Wow! These are incredible! Love, love, love that tag! It has so much texture and personality and you owned those dies! Thanks for sharing your hoard with us at Craft Hoarders Anonymous! These are wonderful! 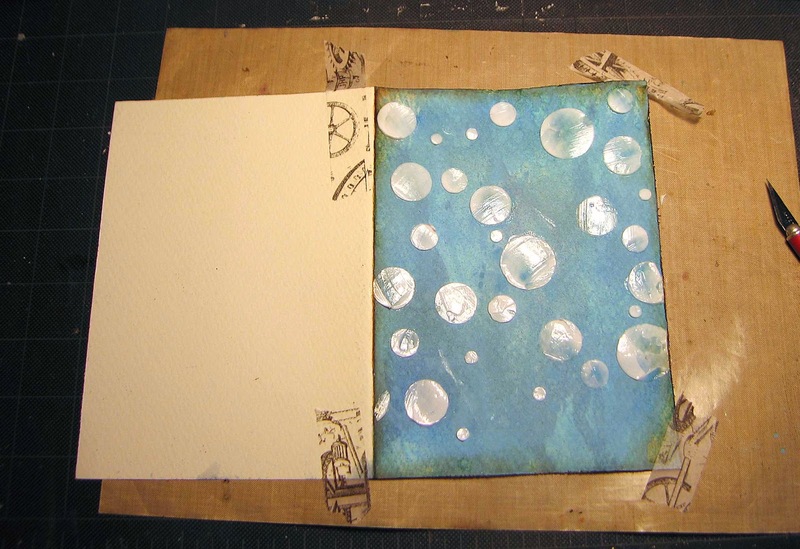 Love your rich blue backgrounds and the sweet sea effects. This new visitor and follower is REALLY impressed with your work! I found your blog via the Graphics Fairy! I look forward to your future posts ad shares!